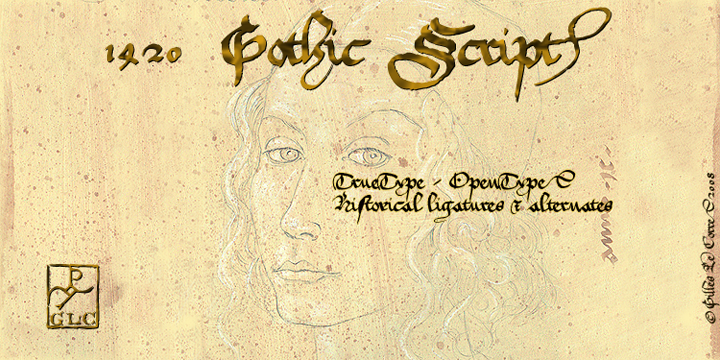 Gothic Script is one of the most lavish and stylish font used in the period between 1300’s to 1500’s. It portraits a kind of settlement between historic and modern use. This font includes many abbreviations like “que, qui, quo, per, pre, ff, ffi, fi, ft, sd, pp… and embrace “long s”. Its primitive size is 18/24 points, and is very vital for web-site titles, posters and ancient texts or cards.